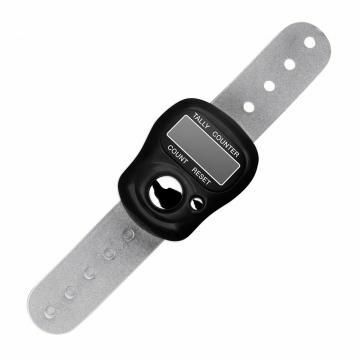 Electronic row counter from ADDI. A great addition to the practical ADDI range of knitting accessories. This handy new row counter makes it easier for you to keep count of all of those rows: simply slip it onto your finger, start knitting, and click for each row. The digital display shows you the number of finished rows. Keep counting and carry on!